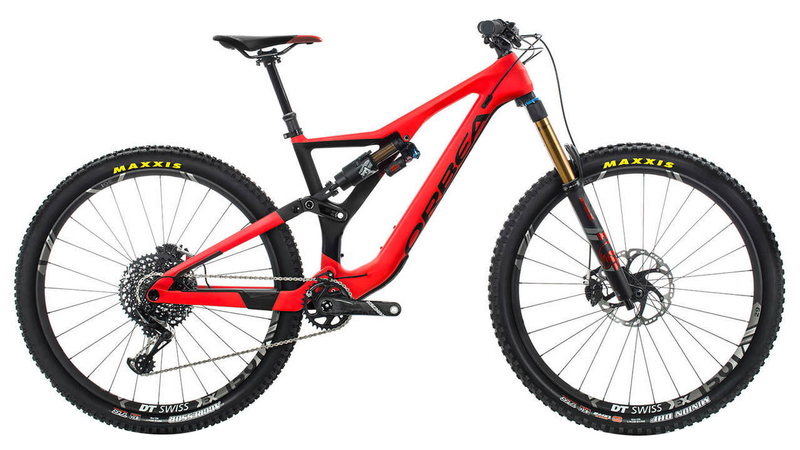 Harness the ability to charge down any trail faster than ever before with the 2019 Orbea Rallon M-Team. Whether you are looking to slay your local rock garden or stand atop the next EWS podium, the 29 inch Rallon will leave you with a huge smile at the end of your ride. 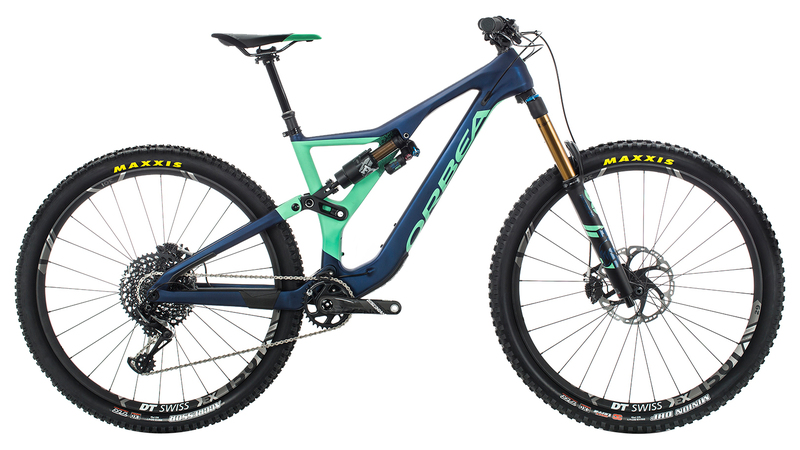 Centered around an Orbea Monocoque Race Carbon constructed frame with modern enduro geometry, the Rallon inspires confidence on the roughest and steepest trails. SRAM’s XO Eagle 12 speed drivetrain allows you to harness your inner mountain goat on the climbs and Fox’s unparalleled suspension allows you to glide over the biggest rocks on your descent. The Rallon’s unique asymmetrical frame does not only turn heads at your local trail network, but provides a lighter and stiffer design with easy access to the rear shock. Orbea’s Advanced Dynamics suspension platform offers a plush ride with high anti-squat to provide excellent pedaling and active suspension under braking. Pair these features with the frame’s slack head tube angle, low bottom bracket height, and short chainstays, you achieve a bike that wants to find the steepest trail and get sideways on every jump. When it comes time to stop, you can brake with confidence knowing you have the renowned Shimano XT 4-piston brakes under your fingers. If you want to be unique, have unsurpassed confidence and have the best time ever on your bike, look no further than the Orbea Rallon. This machine will take you anywhere you want to go, faster than you ever imagined.